I read my admissions files through FERPA – and do not recommend it. Why, you might ask? I had viewed my Dartmouth admissions file. However, I would not recommend other students to do the same. Under the Family Educational Rights and Privacy Act, any student can view the personalized files that their postsecondary school holds. The act’s primary purpose is to “set out requirements for the protection of privacy of parents and students,” and it stipulates rules about a student’s access, ability to amend and right to disclose private information that their college or university holds. Any college that “receive[s] funding under any program administered by the Department [of Education]” is subject to the law, and that includes Dartmouth. It’s important to note that the right to access one’s admissions documents only applies at the school a student was both admitted to and currently attends. Thus, the process of viewing your admissions files, although lengthy and bureaucratic, is completely legal. However, it took going through the six-week process for me to realize that viewing my admissions files was both self-serving and a waste of the College’s time and money. Even knowing that I had the legal right to view these files, I still debated whether or not to push send. I felt like I was overstepping my bounds. Sirey Zhang ’20 felt the same after he requested to view his admissions files through FERPA. A voice in the back of my head reminded me that I was already lucky to have gotten in. Shouldn’t I just be happy and leave well enough alone? The College did everything correctly from a legal standpoint. I received a timely response detailing that, as FERPA stipulates, a representative from the Admissions Office would be in touch within 45 days with instructions on how to review my records. Within a week, I forgot that I had sent a request. On Nov. 2 — 35 days after receiving an initial response — I was told that my files were ready for me to view. On Nov. 4, I climbed the grandiose staircase to the third floor of McNutt Hall, presented my student ID, signed some paperwork and was led into a room by an admissions employee. Under the employee’s supervision, I was allowed to read and take handwritten notes on my admissions records. Like at a museum, photography was prohibited. The only notable documents in my file were a report from my alumni interview and feedback from the two people who reviewed my application. The two admissions readers “graded” my application on a scale of one to five according to my overall academic and personal rating, testing, school performance, intellectual qualities, extracurricular achievement and personal qualities. Additionally, they each wrote a short paragraph summarizing their thoughts on my application and “recommended action” in regards to admittance. The whole ordeal was bureaucratic and sterile, but not ultimately insightful. Reading my report simply reinforced my hunch as to why I “got in.” There was nothing sinister or surprising within my application files. This all makes sense: If the Admissions Office wanted you to matriculate, it’s only logical that they write nice things about you in their notes. Even what you really want to see — a big, juicy, reason for your acceptance — might be redacted if it references another applicant or quotes content from your letters of recommendation if you had waived the rights to see them. I saw references to redacted information in my file, meaning that an admissions employee had been forced to take the time, and was paid for by the College, to comb through my file and redact information before I saw it. 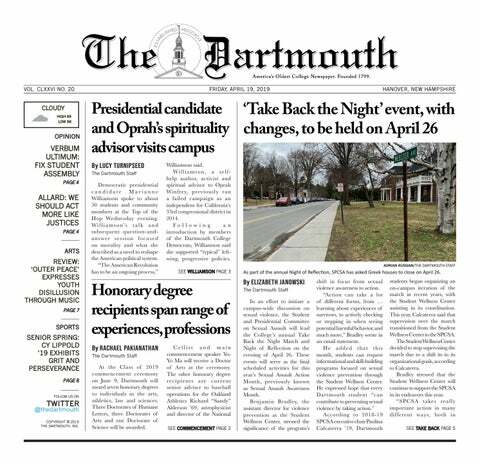 If Dartmouth dollars are being spent, it’s ludicrous that they be spent on that. There are also possible ramifications for the language of admissions. If admissions officers know that their comments can be relatively easily viewed by students, I suspect that they might be less transparent and honest in future evaluations; using my right to FERPA my admissions records may whitewash the process for future applicants. That being said, it’s healthy to push against the opaque and secretive systems within colleges — and college admissions tops that list. Personally, viewing my file allowed me to compare what I thought was my main “selling point” with what the admissions staff prioritized in their notes. But ultimately, my [redacted] peek behind the iron curtain of admissions and the half-hour ego boost wasn’t worth the time and money the admissions office spent. It would be worth everyone’s time and money to conduct an independent audit of all original, non-redacted admissions files to check for abuse and discrimination. While a students do have a right to access their information, that right need not always be acted upon. FERPA may have been well-intended, but taking advantage of it is not worth the effort.